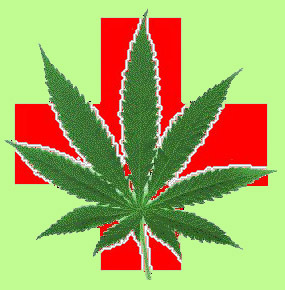 Marijuana has also been found to be helpful in the treatment of glaucoma, vomitting and nausea. It is also said to stimulate hunger in patients undergoing chemotherapy and AIDS patient. Recent studies reveal that it is marijuana’s medical use is also in case of treatment of Alzheimer. Breast Cancer,Lung cancer ,AIDS. It is also used to reduce the dependence on opiates.. Looking at these life saving properties of marijuana in many countries like Canada,Germany etc marijuana’s medical use has been legalized. In the USA since the 1970′s there has been an increasing trend of the legalization of marijuana use particularly in the field of medicine. In the USA medical use of marijuana is legal in sixteen states including the state of California. The California medical marijuana use is covered under Proposition 215 .In 1996 Proposition 215 or the Compassionate Use Act was passed by 56% voters which legalized the possession use and cultivation of marijuana by patients. However for this,a doctor has to recommend that the patient needs to use marijuana for his treatment. Under this act any amount of marijuana can be cultivated by patients for use. This act covers diseases like arthritis, cancer, epilepsy, chronic pain, HIV AIDS, migraine and multiple sclerosis. At present, California is the only American state that has a voluntary a medical card programme. Unlike other American states the state of California does not require its citizens to make a state medical identity card to use or cultivate marijuana. In California medical marijuana use is quite widespread. It is believed that there are about 2100 clinics, dispensaries taxi delivery services that give marijuana treatment to patients. However the Drug Enforcement Administration keeps a check on those dispensaries which administer excess marijuana to patients. Thus though the laws regarding medical use of marijuana are lenient, there is a sound mechanism to check that these laws are not misused. In Canada medical marijuana use is legal. It is used in the treatment of various diseases. Canada permits such use to only such patients who can show that they require to use marijuana to relieve their suffering. Several landmark judgments were passed regarding the medical use of marijuana in Canada. In 2000 in the Parker case a judge ruled that Canada’s drug laws were invalid as there were few exemptions regarding the medical use of Marijuana. The Government then enacted the Marijuana Medical Access Regulation Act which has also been criticized as unconstitutional in many cases. In 2003 in the Hitzig case declared this act as unconstitutional. Thus the Canadian medical marijuana laws are stricter than those of California. In fact California has emerged as the most liberal state inn terms of marijuana use-both medical and non medical. However relaxed laws are often subject to misuse and pot dispensaries in California need to make sure that they do not violate any state and federal provisions related to sale of marijuana under medical usage. This entry was posted on Tuesday, July 26th, 2011 at 22:01	and is filed under Medical Marijuana. You can follow any comments to this entry through the RSS 2.0 feed. Responses are currently closed, but you can trackback from your own site.